Xiaomi wants to do his work in a different way. The company displayed about one month ago one item in Guinness World Records, due to the simultaneous opening of more than 500 stores in India. In addition, it was the world's largest mosaic bulb that won another world record in the Guinness Book of World Records, and at the moment the company has regained its reputation by gaining its third position in the Guinness Book of World Records over the course of three months is. 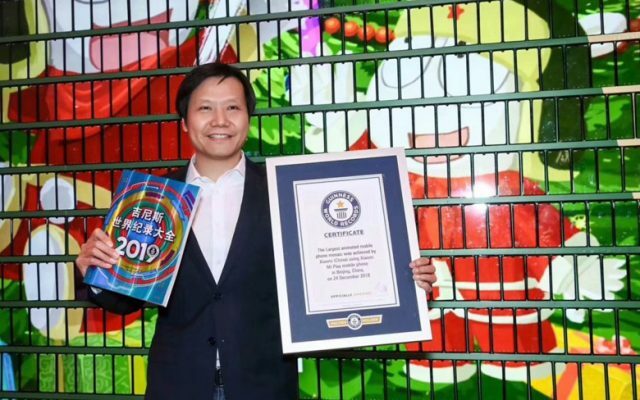 Xiaomi won a World Guinness World Record at the Xiaomi Mi Play Launch Conference in China, making the largest mobile mosaic of the handset using the Mi Play smartphone in China. Although this is not the first move, Sony made it into the 2013 MWC using 196 smartphones from Sony Xperia ZL, and Vestel, the Turkish manufacturer of home appliances and home appliances, moved a similar move using the 504 Vestel Venus device V3 5570, but now Xiaomi to create a Christmas tree pattern using the 1008 Mi Play Xiaomi units left the two companies behind and recorded a new Guinness World record. 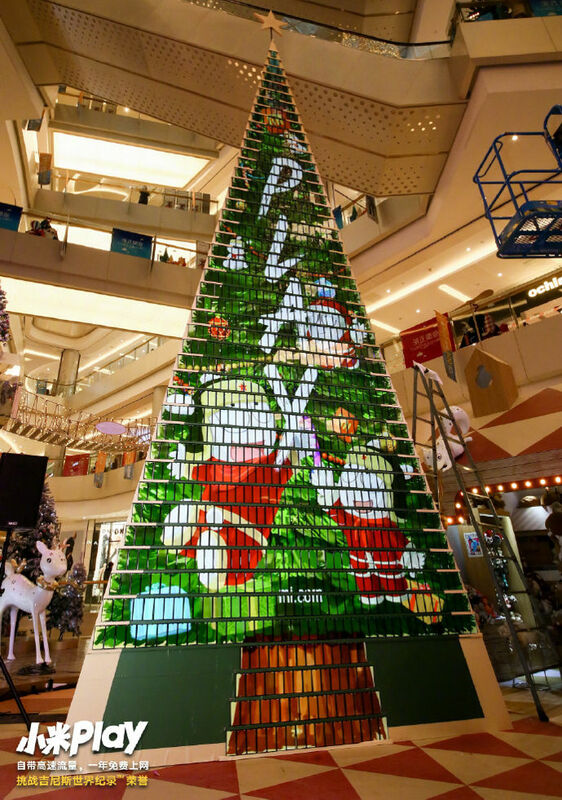 According to the company, this Christmas tree, which is about 8 meters long, provided a high-speed internet connection for customers at the showroom, which was also the largest hotspot in Beijing's Christmas event. Meanwhile, Xiaomi's CEO explained this masterpiece and said the work on this mosaic began at 4:00 AM and was completed at around 4:00 PM, while the actual preparation lasted for two weeks. . He also emphasized that the biggest challenge was to connect the screen to a matrix and make sure that all these smartphones are 100% compatible.